Get your photos off your phone and into your home with our unique, stylish and easy DIY ideas for retro prints. Our Retro prints are quick to create and will make a striking impact when displayed in your home or used at weddings and birthdays. Retro print photos have been a favourite among interiors enthusiasts and event planners for a while thanks to their vintage-inspired aesthetic, so follow the trend and create some of your own. We’ve come up with 9 unique ideas to inspire you. Warning: you’ll want to do them all. Planning a wedding or big event? Why not create personalised place names for all the guests with retro prints? 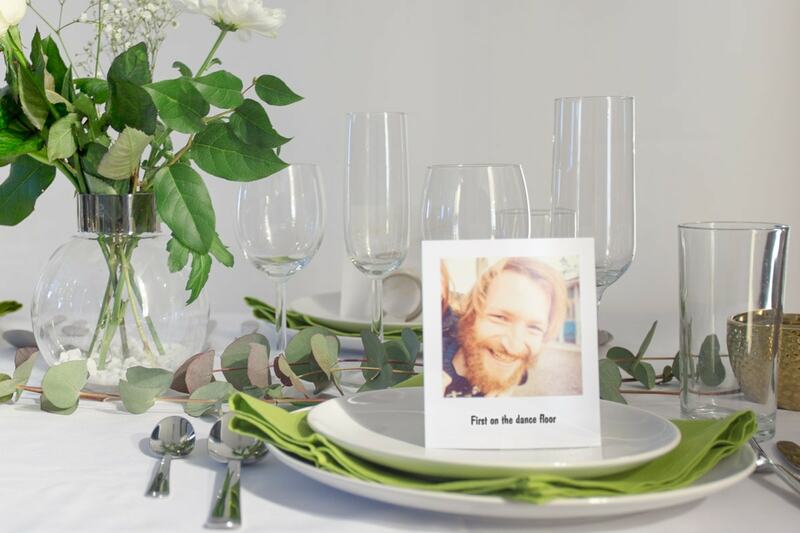 Choose a favourite photo of each guest and then add a fun fact or adjective to describe the guest at the bottom of the print. You can choose from over 50 fonts for a truly unique finish. Create some retro prints of all your favourite moments and place them in a photo frame. 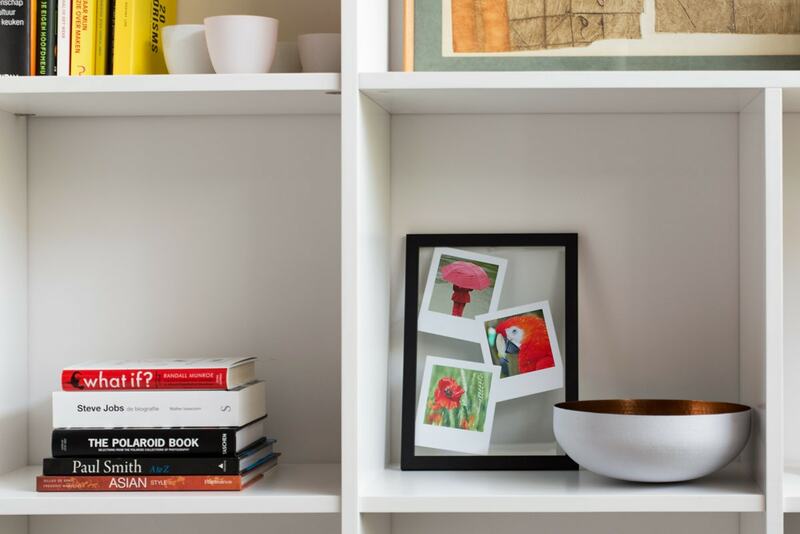 You can choose a modern frame or a vintage-style one that you’ve picked up second hand. 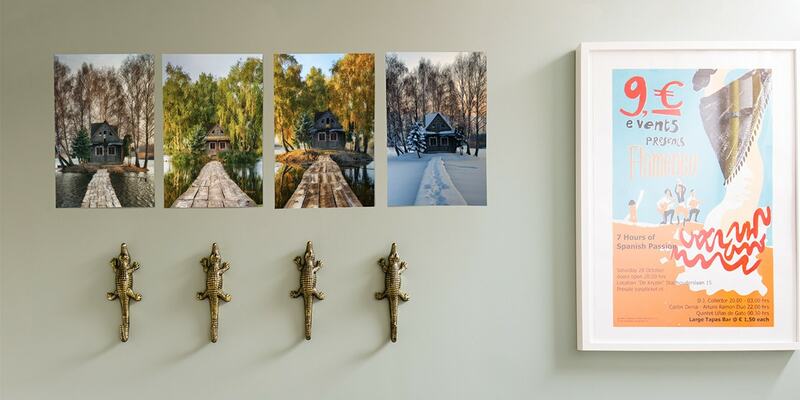 It’s nice to keep the photos in the frame within the same theme… photos from a specific event or holiday or photos of similar locations like beaches or mountains or cities. 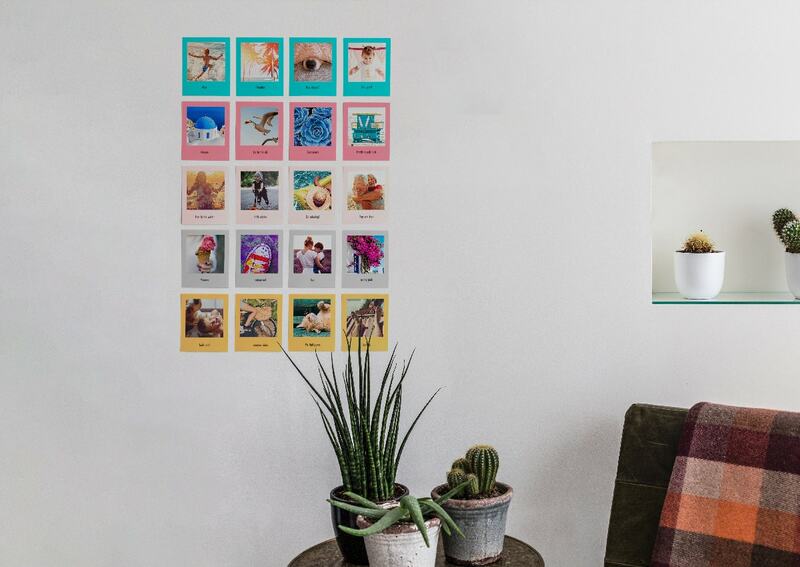 A whimsical way to display your moments. 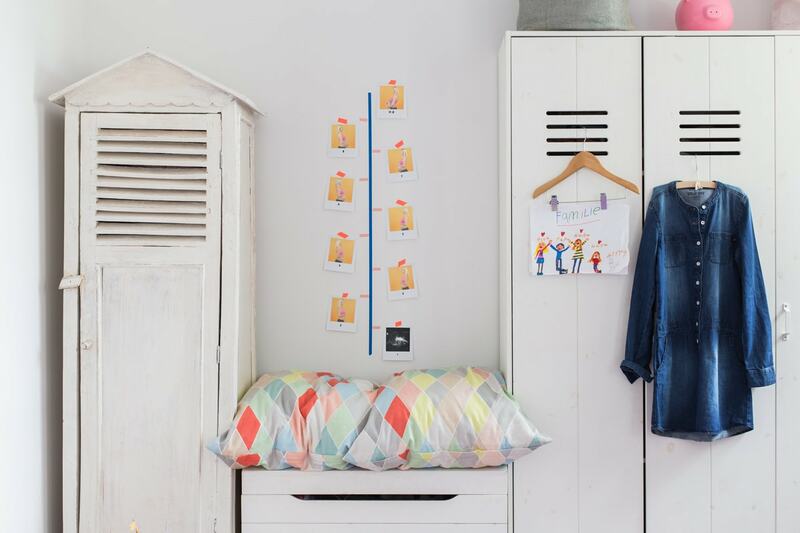 Decorate a small and unused wall with a collage of retro prints. This works especially well in an unloved home office or you could try it on the stairs or perhaps in the downstairs bathroom. Everyone loves the kitsch appeal of bunting and it’s easy to make your own with retro print photos to give any room some vintage charm. You can now add coloured borders to your prints exclusively in our mobile app (find out more about the coloured borders) to make your bunting even better. 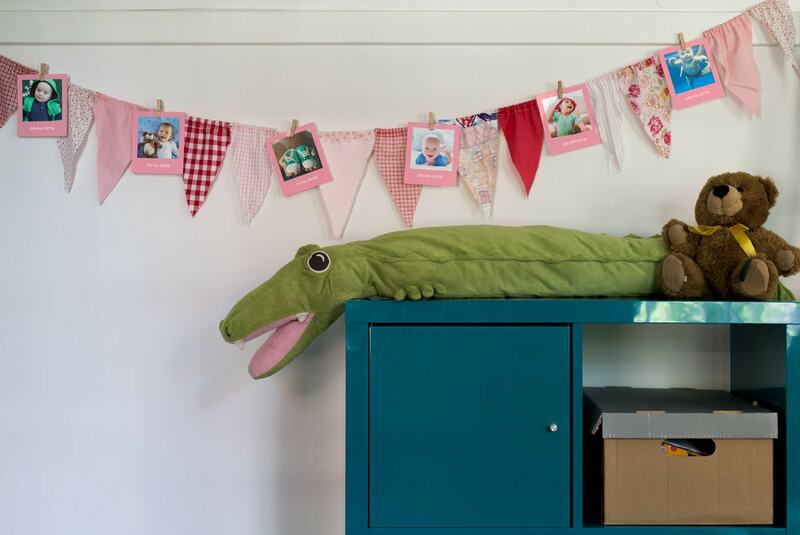 Try a pink or blue border and string it up in the nursery. Print some retro prints and add coloured borders, exclusively in the mobile app to give your display a more modern look. This will look perfect pinned up on a wall in an eye-catching shape. You could try a star or a circle, and when you get bored of it, simply rearrange the photos into a new shape. 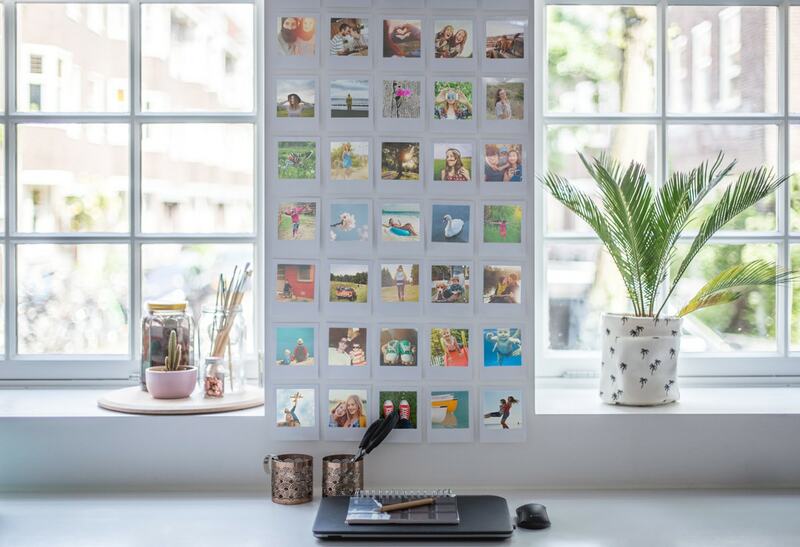 For something even more original, organise your photos from light to dark, arrange the prints in a rainbow shape, or print photos from a recent trip and pin them up in a flag shape in the country’s national colours. 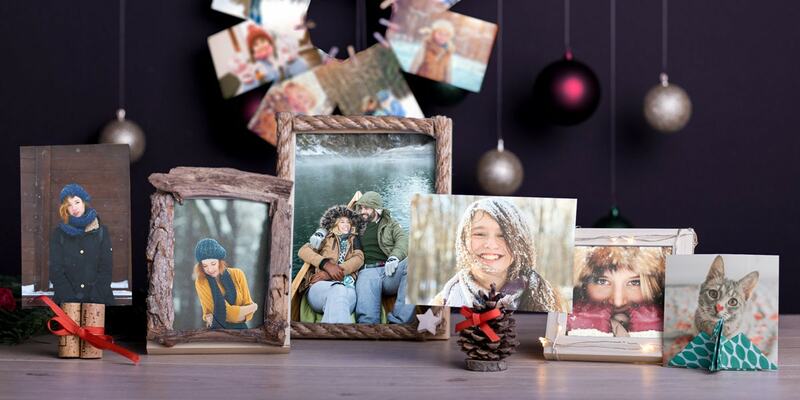 Create a retro print of the person you’re giving the gift to and attach it to their present. You could even add a little note at the bottom saying who it’s from. The little extra effort won’t go unnoticed by the person receiving the gift and it will look great too! Print a photo of every member of your family (this may require scanning old photos) and add their name and date of birth at the bottom of the retro print. To make your composition even more interesting, you could create your prints in our mobile app and colour-code your family tree by gender or generation. 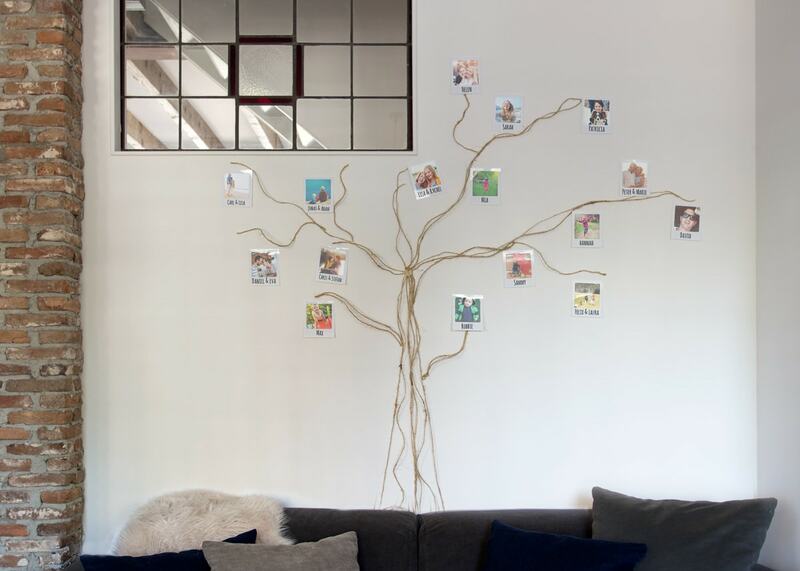 Then arrange the photographs on your wall in a family tree-style display. It’s a great way to map your lineage and will look lovely too. Documenting a pregnancy using retro prints is a great way to remember those precious nine months. Photograph yourself at one month, two months etc and then display them in chronological order. Finish the timeline with a snap of your little one. You can add text to the photos so you can remember which month they were taken. 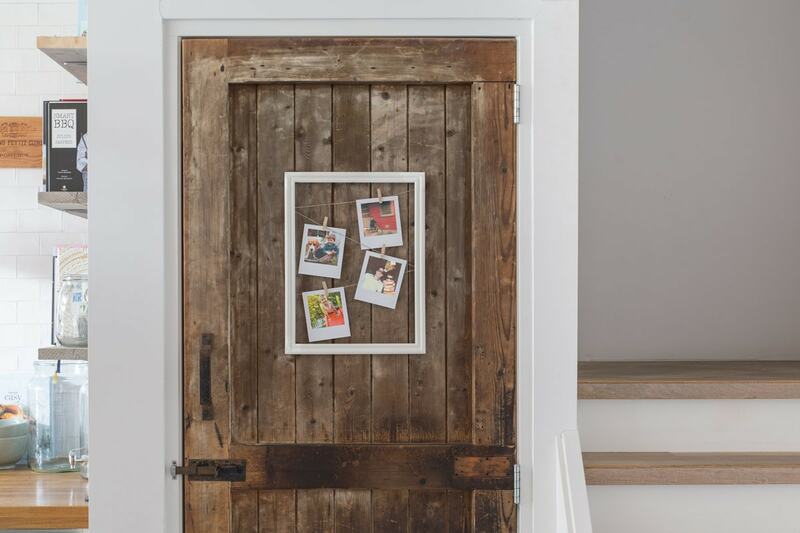 Place some retro prints between two sheets of glass for an original way to display your moments. You can go for one retro print per glass frame or arrange a few in-between the same pieces of glass. You could even make it double sided. Perfect for placing on your desk and looking at when you need a pick-me-up. If all those ideas have inspired you to print more of your photos then you might need some more ideas. 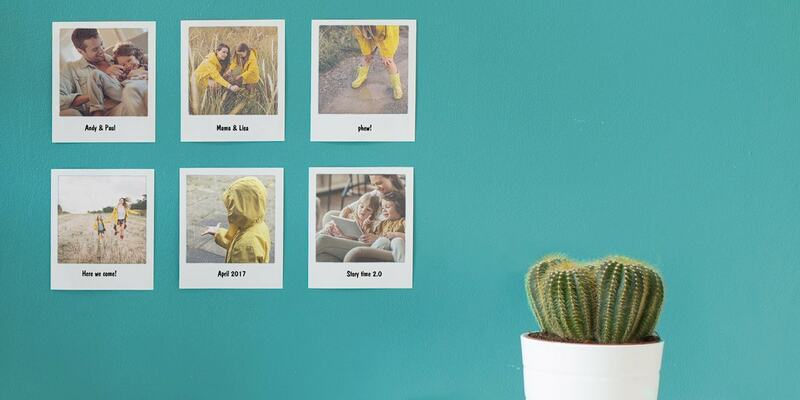 Why not create a photo collage with the help of our simple tips or even make your own DIY photo wall hanging to display your favourite moments? Once you’ve created your retro prints, take a photo of them and share it with us using the #mybonusprint hashtag on Instagram or upload them here. You’ll find a whole hub of inspiration from real customers just like you.